This was our third visit to Oklava yet unbelievably we didn’t realise it had been over a year since the last time. Anyway we were so glad to be back as once again we enjoyed a fabulous dining experience. It’s such a fantastic little restaurant serving the very best Modern Turkish cuisine. The restaurant itself is set in the hip and trendy Shoreditch area where there are now many great places to eat and with the fact that the area is only a five minute walk from Liverpool Street station is a big plus. As I said this was yet another fantastic visit which starts as soon as you arrive as the aromas from the open kitchen hits you straight away. The other reason is that the staff are so friendly giving the restaurant a lovely cosy and relaxed atmosphere. Once seated we looked around and noticed there seemed to be a bit more space between the tables especially along the wall. The menu was as we remembered from our last visit with the added extra of now having a Tasting Menu giving you the opportunity to sample more of their great dishes. On this occasion we decided to choose our own dishes as there was a lot of new ones to try. We started with some amazing Baharat Spiced Bread & Medjool Date Butter which was absolute heaven. This was followed by a big favourite the Grilled Hellim , Lemon , Honey & Oregano. We then enjoyed the fabulous Grilled Cypriot Pastirma on Toast something which I could eat all day. Our next dish was definitely the highlight a truly amazing Chilli Roast Cauliflower , Red Onion , Parsley & Pistachios this dish was so flavoursome. This was followed by a delicious Black Sea Cheese Pide , Soft Egg , Caramelised Onion & Za’atar Butter where you have to split the egg and spread the yolk over the bread. This was accompanied by a delightful salad. It was now time for two more amazing dishes before desserts. The first being a Duck & Cherry Filo Pie with Sour Shallots & Pistachios this dish was a real treat. Then to finish our savoury courses was a stunning Bavette Steak , Cured Beef Fat & Smoked Ezme. We then needed a nice rest before moving on to desserts and what was nice was that the waitress said that’s fine and just let them know when we were ready. They offered a choice of three desserts one being the Kinefe which we have had on our previous visits so on this occasion we decided to try the other two. 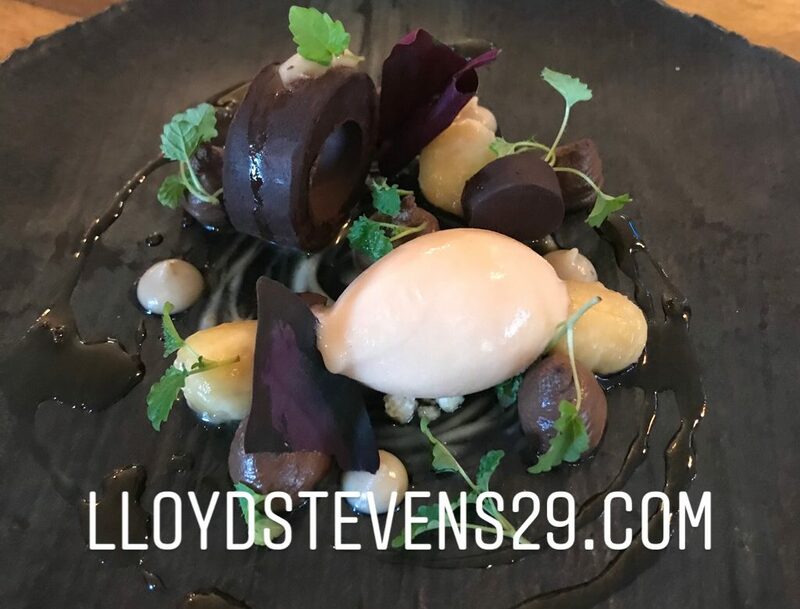 The first being a delightful Bay Ice Cream with Chestnuts and the other was a heavenly Warm Rice Pudding with Wild Pear Ice Cream & Sorbet , Hazelnut & Caramelised White Chocolate Crumble. We finished with a nice pot of Turkish Tea to round of yet another fabulous lunch at Oklava. Although there are many restaurants in the area I would have to say a visit to this restaurant is a must. With amazing food created by the extremely talented chef Selin Kiazim and the friendly service you will be disappointed if you miss out. So yes I would highly recommend and I for one will certainly be looking forward to returning soon.